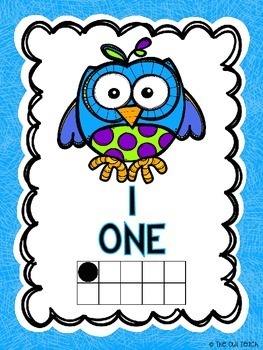 These bright Owl Ten Frames are perfect for your Owl themed classroom! 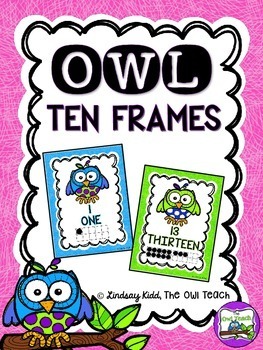 These Owl Ten Frame Posters include numbers 1-20, and each poster includes an owl image, number in standard form, word form, and as a ten frame picture. 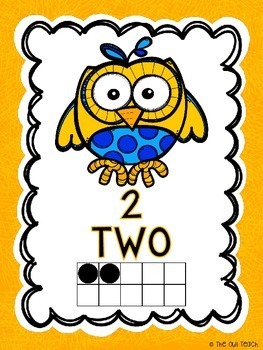 These can be printed full-size and displayed in a classroom as a number line, or multiple pages to a sheet for flash cards.